Tom Oliver, award-winning proprietor of ‘Oliver’s Cider & Perry‘, takes us through the process of Perry and Cider making on his farm in Herefordshire, England. 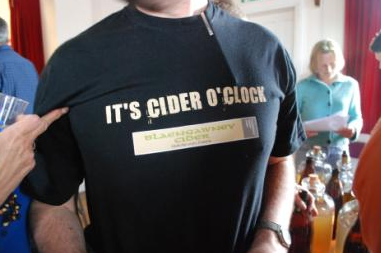 View our listing for real cider and perry producers in Herefordshire. 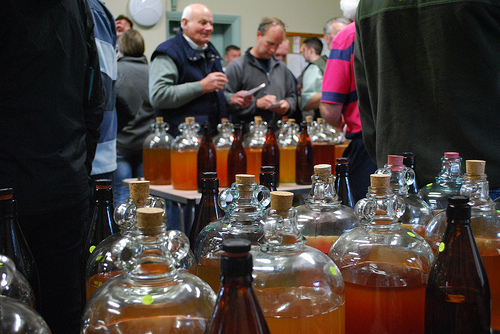 There are two broad main traditions in cider production in the UK – the West tradition and the Kent and East Anglia tradition. The former are made using a much higher percentage of true cider-apples and so are richer in tannins and sharper in flavour. 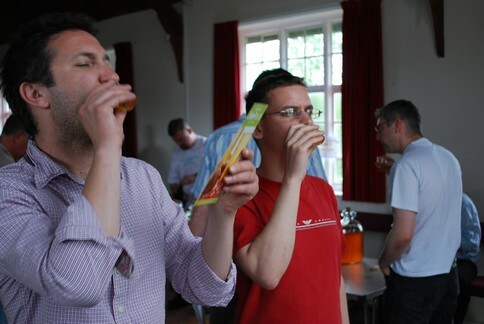 Kent and East Anglia ciders tend to use a higher percentage of, or are exclusively made from, culinary and dessert fruit; Kentish ciders such as Biddenden’s and Theobolds are typical of this style. They tend to be clearer, and lighter in body and flavour. Real cider is mostly associated with the West Country, Herefordshire & Worcestershire, but is also produced in Wales and across England, particularly Kent, Suffolk and Norfolk. 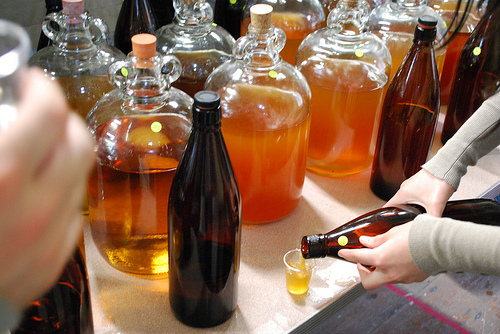 Cider is available in sweet, medium and dry varieties. The apples which are used in The West Country & other certain parts of the country are cider apples, which are grown specifically for the purpose of making cider. Cider apples are generically identified as bittersweets and bittersharps. With most ciders the greater the variety of apples used, the better as they all have different characteristics. 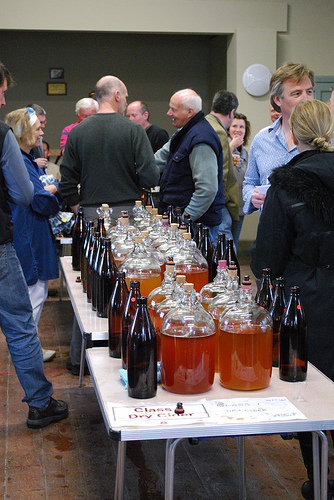 In recent years a number of Producers have starting making cider and perry from single varieties of fruit; these produce an interesting & sometimes surprising result from a tasting point of view. In Somerset – and other areas of the West Country, layers of straw were used instead of cloths. Some producers still use this method. In Herefordshire – it was the tradition to use horsehair, but there are no known producers who still do this in the Herefordshire area. 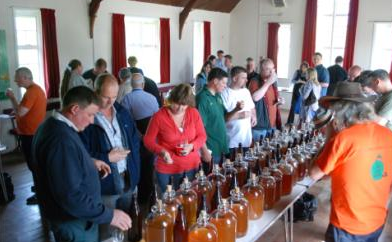 In the Eastern Counties – Sussex up to Norfolk (& including Kent) – the tradition for cider is to use a mixture of eating and cooking apples, although a number of producers in Norfolk are growing cider apples as well.